It was a citrusy kind of affair for me and my chicken drumsticks. I love citrus. And, being here in South Florida, United States, allows me fresh oranges this time of year. Wish I could state that I visited an orchard and handpicked same; but, I didn’t. I was fortunate to select a perfectly sweet crop in the produce section of my neighborhood supermarket. I thought I could give my seasoned drumsticks a citrusy flavor. By the way, I removed the skin and seasoned with same with salt, black pepper, crushed garlic and a drizzle of balsamic vinegar the night before. The beautiful thing about adding citrus to protein or any other food group is that immediately, amazing flavors are incorporated. As a matter a fact, whenever I add citrus to chicken, I tend to use less ingredients because the citrus shines and expels its tart-like, sweet and caramelized flavors. I was in a rustic kind of mood; thus, I grabbed my cast iron skillet and prepped for action. With a drizzle of canola oil, I dried drumsticks on paper towel and removed traces of garlic. Chicken drumsticks were browned on both sides. After drumsticks were browned, sliced lemon, orange, onion and the fresh juice were added. Skillet was placed in oven for roasting at 380 degrees for approximately 45 to 50 minutes turning once. 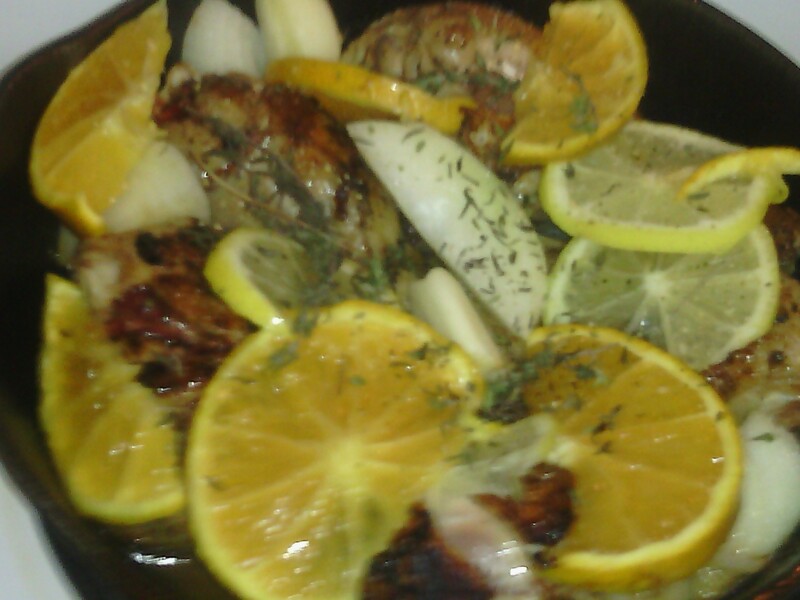 The input of orange, lemon, onion, thyme expelled all their flavors that embedded the chicken. 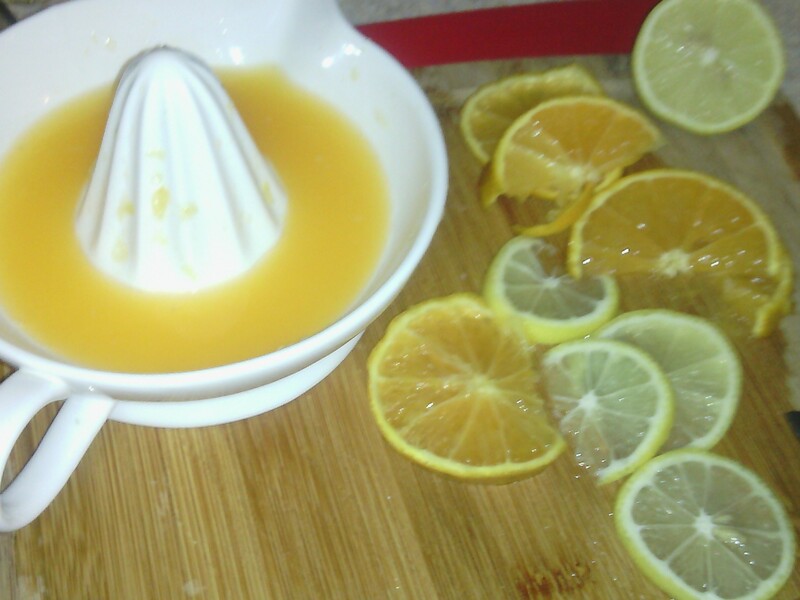 Moreover, the lemon and orange slices acted as tendering agents for chicken. The final dish was one that roasted down to a brown chicken and caramelized citrus and onions. Roasted citrus chicken drumsticks were served with a combination of sweet and red potatoes infused with sour cream and a generous sprinkle of cinnamon. 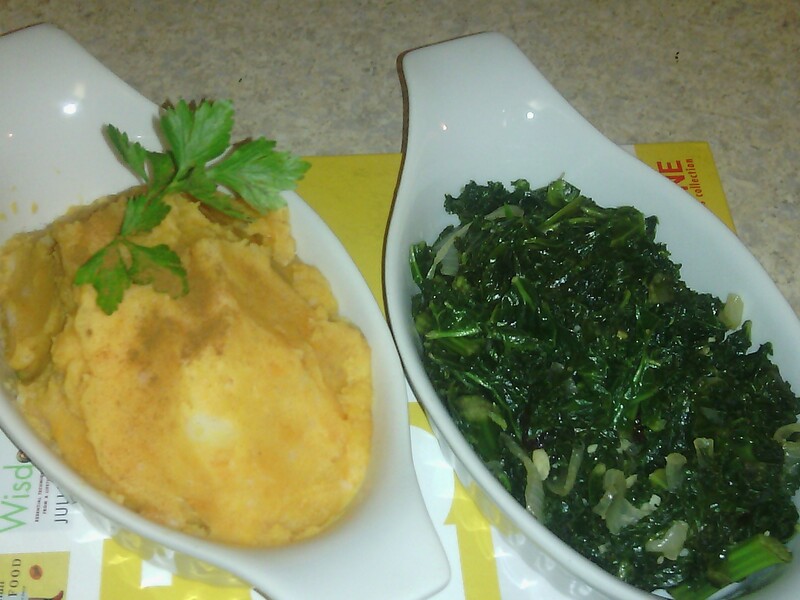 In addition, a side serving of sautéed Kale with a splash of fresh orange juice was added.